These best-selling deals are usually marked down generously in our store, but for one day only, we’re dropping the prices even lower. We already bring you the best deals around, but two of those offers are getting even better. For just 24 hours, you can save even more on two deals that are sure to please photographers and designers looking to snap better pictures! 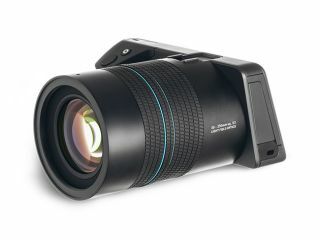 Instead of producing static 2D images, the Lytro Illum Camera captures the entire field of light. This incredible technology gives you the ability to refocus your photos and change perspective after you take a picture. The 3D camera ensures that you’ve always taken the best photo possible by producing living images that you can always do more with. The Lytro Illum Camera usually retails for $1,299.99, and is normally marked down to $349.99. But for 24 hours only, you can get it on sale for $329.99. It doesn’t matter your level of expertise: the Adobe KnowHow All-Inclusive Photography Bundle will teach you what you need to know. You’ll access 13 courses and 65 hours of content covering everything from night photography to portraiture. This training will ensure you have the best looking photos, whether you share them with friends or use them in design projects. The Adobe KnowHow All-Inclusive Photography Bundle retails for $933, and was already marked down to $64. Now, it’s just $39 for the next 24 hours, so get it while you can!